What would Michael Sata think of this ? – Rupiah Banda, Dora Siliya, Felix Mutati and other MMD corrupt thieves sold Zamtel to Lapgreen after receiving bribes. 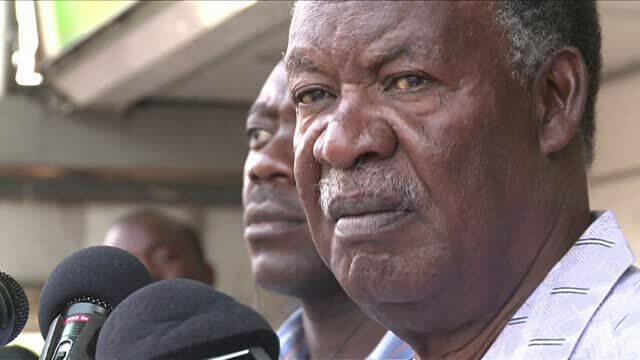 – in 2011, Sata won elections and repossessed Zamtel. Finance minister Felix Mutati says government will compensate LapGreen Network in compliance with the High Court order following a consent judgment between the Libyan firm and the Zambian government. And government has announced the sale of 17.3 per cent of government’s shares in the Zambia Consolidated Copper Mines Investment Holdings (ZCCM-IH) on the Lusaka Stock Exchange. Recently, FDD deputy national secretary Antonio Mwanza disclosed that he had information to the effect that LapGreen was threatening to seize Zambia’s assets abroad if the debt in excess of US$382 million, which was long overdue, was not settled. In this case, LapGreen which is Libya’s government investment portfolio, sued the Zambian government after it forcefully took over 75 per cent LapGreen shares from Zamtel in 2012. LapGreenN bought the shares during former president Rupiah Banda’s reign at a cost of $252 million. Mutati confirmed that Zamtel had been moved to the Industrial Development Corporation, and added that government had resolved to compensate LapGreenN following the ruling from the High Court. “Mr Speaker, the correct status is that Zamtel has moved to IDC and then the issue of LapGreenN was determined by the High Court and LapGreen was awarded compensation. Government is dealing with the matter of compensation,” said Mutati. Meanwhile, Mutati announced that government would soon sale 17.3 per cent of its shares in the Zambia Consolidated Copper Mines Investment Holdings (ZCCM-IH). “Mr Speaker, allow me to appraise the House on the intended sale of 17.3 per cent to have these shares in ZCCM investment holdings held by GRZ and listed on the Lusaka Stock Exchange. Sir, the long term strategic plan is to reposition ZCCM Investment Holdings for growth through strategic partnership and to comply to LUSE requirements. LUSE listing requirements stipulates that ‘no single shareholder should control more than 25 per cent of equity in any one listed company’. In compliance with the listing requirements, government intends to sale 17.3 per cent of its shareholding in ZCCM investment holdings,” Mutati said. He assured the House that the sale of the shares would not affect NAPSA which holds 15 per cent stake in ZCCM. “As honourable members are aware, NAPSA holds 15 per cent shares in ZCCM Investment Holdings. Mr Speaker, in conducting the sale, we will ensure that the articles of association are amended to provide that IDC’s shareholding will not at any time fall below 50.3 per cent to serve the national strategic interest and to give the right of first refusal to IDC, should NAPSA want to sale its 15 per cent shareholding. Sir, as a transparent and consultative government, we thought it is prudent that we share with the House and the nation at large the intentions of government on this issue. The sale is strictly meant to ensure compliance to the LUSE regulations while firmly protecting the interests of the nation,” said Mutati.